You can apply for a NE driver's license in person at a DMV office, or in some cases you may be eligible to apply online. You will need to pass a vision exam, and you may need to pass a written knowledge and driving test. Various documents are required, and you'll need to pay a licensing fee. Continue reading this page for instructions on obtaining your driver's license from the Nebraska Department of Motor Vehicles (DMV). NOTE: If you are younger than 18 years old, see our Applying for a New License (Teen Drivers) page. If you currently hold a valid driver's license from another state, you will have 30 days from the date you establish Nebraska residency to transfer that license over to Nebraska. To do so, follow the directions below to obtain a NE driver's license. In addition to providing the required documents and paying the required fee, you will also be required to surrender your out-of-state driver's license. You may, however, be exempt from having to take the written and driving tests. Testing can be done at the discretion of the testing staff. NOTE: If you are not able to surrender your driver's license from your previous state, or if you license is expired, you will be required to take both the written and driving tests. Regardless of whether you have a valid out-of-state driver's license or not, you will still need to pass the vision test. If you're younger than 18 years old, you'll need to meet all the requirements of the provisional operator's permit (POP) before you will be eligible for a full driver's license. See our Applying for a New License (Teen Drivers) page for more information. Permits for those younger than 17 years old. Operator's license (Class O): For the operation of any motor vehicle except for a motorcycle or a commercial motor vehicle. Motorcycle license (Class M): For the operation of a motorcycle or vehicle with 3 wheels. Commercial driver's license (CDL) (Class A, B, or C): For the operation of a vehicle weighting more than 26,000 lbs., carrying 16 passengers or more, or transporting hazardous materials. Depending on your situation, you may be able to apply for your NE driver's license online; otherwise, you'll need to appear in person at a NE DMV office. You have had a Nebraska provisional operator's permit (POP) for 12 months or longer. You are at least 17 years old . You have had less than 3 points added to your driving record in the last 12 months. You have not changed your name or address since your POP was issued. There are also some other reasons that you may not be eligible to apply for your driver's license online. Please see the NE DMV website for more information. Driver's permit number or Social Security number (SSN). You will also need to pay the driver's licensing fee with either a credit card or electronic check. To apply for your first Nebraska driver's license in person, visit your local NE DMV office. Pass a written knowledge exam and driving test. NOTE: May be waived if you have a POP and are eligible. Pay the required fee (see our section on driver's license fees below). Must include your full name and date of birth. Provide 2 documents proving your Nebraska address. Provide proof of your Social Security number (SSN), if required. NOTE: The Nebraska DMV provides a list of required and accepted documents. Once you've passed your tests and paid the driver's licensing fee, you will receive your NE driver's license in the mail. Unless these exams have been waived, you will be required to pass both a written knowledge and driving test before your will be issued a Nebraska driver's license. The written knowledge exam will be based on information found in the Nebraska Driver's Manual. 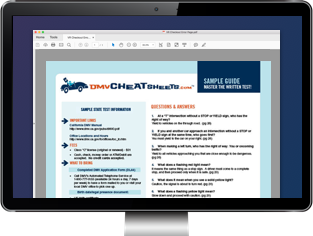 To help you prepare, the DMV offers a basic practice test. You also have the option of using an online practice test provided by our approved partner. These comprehensive study helpers are designed to help you pass the test on your first attempt. If you fail the exam, you must wait until the following day to re-take it. Your driving exam will test your ability to safely drive your vehicle in various driving conditions. Complete a driver's training course (approved by the DMV). Hold a learner's permit for at least 90 days. You're under 21 years old when you apply. You are on a limited term visa. Your driver's license will expire when your visa expires. You driver's license has a bioptic or telescoptic restriction. You must renew every year. Valid for up to 1 year: $7.50. Valid for more than 1 to 2 years: $12.50. Valid for more than 2 to 3 years: $16.50. Valid for more than 3 to 4 years: $21.50. Valid for 5 years: $26.50. NOTE: For online transactions, you will be charged an additional $2.50 fee.